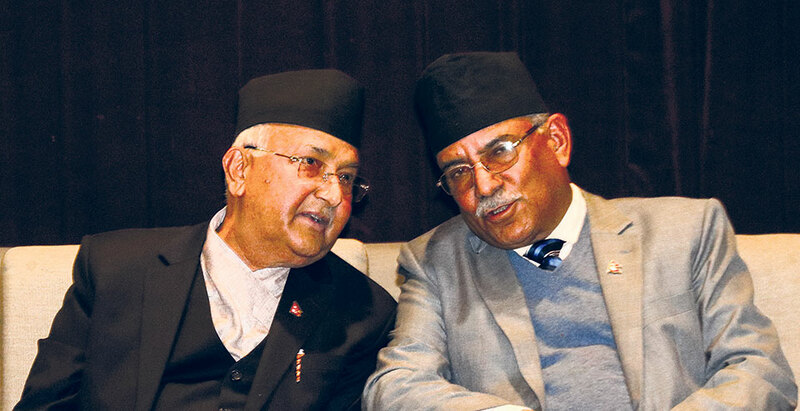 KATHMANDU, April 16: Nepal Communist Party chairmen KP Oli and Pushpa Kamal Dahal have initiated backdoor negotiations to bring disgruntled leaders on board the party merger process after the duo reached an understanding to wrap up the remaining work of the party unification. Oli and Dahal on Monday held talks with Madhav Nepal to resolve the ongoing row over the allocation of power. Party insiders said that Oli has proposed reinstating district chairs of other factions who were replaced during the merger. Oli, however, appears reluctant to make any changes in his picks on provincial committees, they said. The meeting came three days after a section of NCP secretaries agreed to resume the merger process of the local levels and sister wings during an overnight meeting at Chandragiri resort. During the meeting held on Friday, the duo had also agreed to bring disgruntled leaders on board the negotiation process. 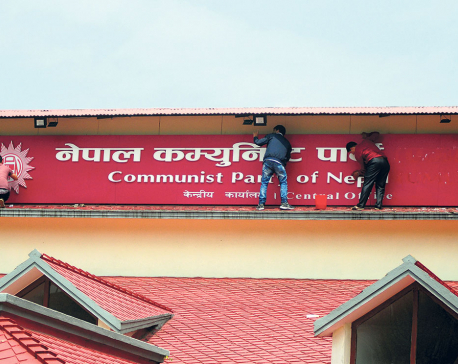 It has been eleven months since the then CPN-UML and CPN (Maoist Center) announced formation of NCP, but the two sides have not been able to conclude merger of the districts and local committees, especially due to wrangling among various factions. Senior leaders from the erstwhile UML including Madhav Nepal, Bamdev Gautam and Jhala Nath Khanal have distanced themselves from the merger process after Oli handpicked his loyalists in the provincial and district committees, cornering leaders of other factions. During the allocation of key portfolios, Oli had replaced some existing district chairs from other factions with his loyalists. NCP leaders Gautam and Bhim Rawal had submitted a written objection to a joint political documented presented by Oli and Dahal. Nepal had also informed the party in writing about their objections over the allocation of key portfolios at provincial and district levels. Nepal faction is also calling on party heads to adopt ‘one person, one position’ policy, barring those holding government portfolios from party responsibilities. Province 5 Chief Minister Ishwar Pokharel and Province 4 Chief Minister Prithvi Subba Gurung have been concurrently overseeing party’s works in their respective province. 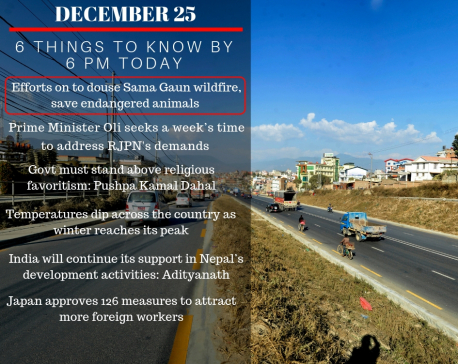 “The current row started after he (Oli) handpicked district and province chairs without consulting any senior leaders. In fact, Nepal was abroad when the list of key portfolio for the district and provincial committee was finalized,” said a leader close to Madhav Nepal. Party insiders say that the chairmen duo had agreed to resolve the differences regarding the merger of party’s lower committee and sister wings following the same principle used to finalize the division of portfolios in higher committees. The two parties had followed 70/30 to 50 /50 principle in the allocation of key portfolio in district, provincial and higher committees. “There is no issue on our part. The merger would move forward once the disgruntled leaders are taken into confidence,” said Mani Thapa, a leader close to Dahal.